Tweet Neil Lea was an extraordinary man. Each day was a battle to overcome his, sometimes very painful, illness to get on with his tireless campaigning for animal rights. The loss to our movement is immeasurable. But Neil's strength and determination should inspire us all to continue the fight - no matter how tough it gets. Neil died at 6.08 on Tuesday July 10th. His death was very peaceful. As many of you know he had quite a few health problems, and in the end his kidney failed and there was nothing they could do other than make him as comfortable as possible. Neil's Funeral took place on Saturday 28th July. There was a gathering to remember Neil, and celebrate his life, in Parr Fold Park, Walkden, followed by a funeral procession to the cemetery. It was a very sad and moving event, but at the same time uplifting and empowering. Over 200 people took part in the march to the cemetery, with more who just went straight there. Neil was laid to rest at City Rd Woodland Cemetery, Worsley, Manchester M28 1BD, an environmentally-friendly woodland burial in a beautiful location. After the burial there was a reception and social event, with vegan food and a bar. Many fellow campaigners shared in the day, whether or not they knew Neil personally. For feedback about the funeral contact info@londonanimalrights.org.uk; ph:07899 775493.
and (separately) to Doreen Lea, his mother. If anyone has any photos of Neil, or video or audio footage of Neil giving speeches or doing interviews, please let us know at info@londonanimalrights.org.uk. I just wanted to thank everyone who has visited Neil throughout his last illness. Up until last Thursday he was resolutely determined that he would not die, because he had things he wanted to do. The doctors had been predicting his death for months, but Neil simply refused to die. He struggled on for over a year with three different kinds of anti-biotic resistant superbugs, horrendous pressure sores caused by neglect in the hospital, and later on esophageal ulcers. Through it all, he gave advice to aspiring vegans, including one young man with spina bifida, who he gave potentially life saving advice to (simple stuff which the doctors only told him about after his kidney failed.) When we moved to a more suitable house, built for Neil by a friendly vegan, he enjoyed the raised garden (built by Debbie) which he could weed and plant in his wheelchair. In recent weeks he was still teaching our son Seamus maths and computer skills (something he was far better at than me) even though by then he was bed-bound. Young friends of our lad's used to come into the house to see the cats and dogs, and Neil enjoyed telling them about how to show their respect for animals... one very puzzled mother came up to me asking why her daughter (eight years old) kept insisting she was vegan, and refusing to go into McDonald's. We would get excited little children coming into the house after school or on a weekend, to tell him that they had saved a worm or a snail by putting them on the grass. Our son and these kids would take our little dog Ginty for walks together, and I feel that these kids will remember Neil for a long time. No matter how restricted his life became, he looked about him to see something he could do, someone he could reach, even when he was stuck on a specialised hospital bed in the living room. In recent weeks he so impressed one of our neighbours that I was invited to talk to her disability group about the benefits of the vegan diet. The talk had to be postponed, because Neil went into hospital, but it has been rescheduled, and I promise to do him proud. As you all know, Neil was incredibly focused, and he didn't just campaign for a few hours a week... his entire life was based on an urgent need to compel compassion. He worried a lot about the human species, and what we are doing to the world, but he never allowed himself to become discouraged. The movement did him proud this last year, and to all who visited him, who cooked for him, who held him upright to ease his breathing as he got weaker over recent weeks, who made him laugh even in the last week, when things looked very bleak indeed - and especially to Bob, Debbie and others who built a house for him (!) what can I say but thank you. A movement is as strong as its' love and compassion. I think the movement is looking pretty strong. "Neil's Mam has been overwhelmed by the compassion and love shown to her son while he was dying. In recent weeks she has been coming to understand what drove Neil's compulsion to help the animals, and it has been a great source of comfort for her to learn that the movement that became his life was so compassionate, and thought so highly of him. Could people please write to her and express their condolences, to this woman who raised a fantastic son, and loved him through thick and thin, even when she didn't always understand what motivated him. She sat by his bed for the last week of his life, holding his hand, and in that last week she saw so many people who cared for her son, and she learned so much about what motivates us. Doreen is 74, a widow who has lost her only child. For Neil, who always worried about her, could you write and let her know how proud we all are of him, and how grateful we are for him. The family requests no flowers, donations instead may be sent to Manchester Animal Protection Society at the address below. Neil devoted his life and all his resources to animal rights campaigning and promoting veganism, so any contributions towards funeral costs would be greatly appreciated. Please make cheques payable to M.A.P.S., PO Box 155, Manchester, M60 1FT, and write "Neil Lea Fund" on the envelope and on the back of the cheque. If there is any surplus after costs, it will be donated to various causes which were supported by Neil. Woodland burial is increasingly becoming the environmentally friendly choice. Having a woodland burial helps to create a protected piece of woodland for future generations. The general principal is that a biodegradable coffin from a sustainable resource is used (cardboard, bamboo, willow or re-claimed wood) or shroud is used. At most woodland burial grounds a native tree is planted on (or close to) the grave. Often a flat memorial engraved stone or wooden plaque is used to identify the grave. The site is managed to encourage native wildlife, plants and wild flowers. Neil was an extraordinary man. Each day was a battle to overcome his, sometimes very painful, illness to get on with his tireless campaigning for animal rights. Born spina bifida, Neil recognised that his life expectancy was below average and lived his life accordingly, impatient and determined to make a positive difference. His vision, moral courage, tenacity and strategic insight made him a great campaigner. Neil remained ambitious to the end and rarely talked about his illness, unless asked, or even his past achievements but instead focussed intensely on his next project. The loss to our movement is immeasurable. But Neil's strength and determination should inspire us all to continue the fight - no matter how tough it gets. Neil devoted his life to the cause of animal liberation, despite suffering from a serious physical disability and being in pain for much of the time. We are fighting a very difficult struggle against extremely powerful, evil enemies and it can be very easy to feel despondent at times. If we ever do, we should remember how Neil battled courageously and relentlessly against all the odds and use his example to inspire us never to give up and never to let the bastards grind us down. The best memorial to Neil will be the victories we shall achieve in our ceaseless efforts to liberate animals from human tyranny. Neil helped raise my son Seamus for five years. Mary and I used to be married, but we'd split up amicably by the time Mary and Neil got together. I've always thought that taking on someone else's child is a difficult thing to do - particularly to do well. I think he did it brilliantly. I never really knew Neil, but people who did have told me that to see the two of them together for a few seconds would tell you how well Neil and Seamus got on. Mary and Seamus may have only had five years with Neil, but I believe that the impact he's had on them is far greater than the time he spent with them. For me I'll always think of him as a man who did his best for my son and I'll always be grateful to him for that. I was shocked and saddened to hear of the tragic loss of Neil, who was a friend through the 70's and 80's. My memories are different to those that I have read but I have always been aware of the good work that he has been doing. I remember Neil from holidays in Ibiza and nights out in the clubs of Manchester to mention just a few. 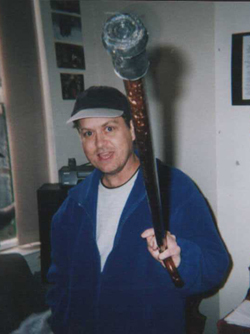 Even then Neil was the organiser, arranging trips out to night club, fancy dress parties or days out playing paint ball. Another side of Neil was the sports organiser, where he used to run a football team in the Eccles and District league and was the only person daft enough to pick me for his team, (only once though). He was also the secretary of Irlam Hornets rugby team, obviously he liked to keep himself busy. It was good to see Neil to go on to use these organisational skills and determination for more worthy causes than just our leisure time. My thoughts go out to his family at such a sad time and obvously Neil will be sorely missed by many; I can only say thanks for the memories. Kirk Allen & lot of other mates from the Eccles area. I am very sorry to have heard the sad news about Neil. I remember the days at Hill Grove and what an inspiration he was, and will always be. Inspirational, hard working, tenacious to the extreme and an endless source of knowledge and wisdom. A seemingly never-ending source of compassionate energy has come to an end. It's a great loss. I've known Neil for a very, very long time and on more than one occasion found his energy and drive somewhat overpowering but at the same time his bloody-mindedness helped to spur me on. He'll be missed more than he could ever know. I am so so sorry to learn about Neil. He was an amazing person and I shall always remember him. I'm sure he will be moving on to his next life doing just as much good, and possibly even more. I only met Neil a few times at demos and vegan gatherings. He was knowledgeable and always willing to share that knowledge. The whole movement will be an emptier force without his zealous endeavours. He will be missed by all. He was a great human being and inspired others to help the voiceless and defenceless in our cruel society. He clearly worked tirelessly despite his own physical limitations. Neil Lea is one of the biggest names in veganism. It is a huge loss to the movement that we no longer have this active independent free-thinker. Have you heard of vegan free food fairs? Neil and his wife Mary invented them, and have shown countless others around the country and beyond how to positively veganise. He was the main force behind the RealFood campaign and Vegan Buddies, with Mary there with him. If you ever spoke to this man you will have known that despite his congenital pain and poor health he kept helping to make things better for animals, people and the planet with strength and commitment. His doctors were amazed he lasted so well and long despite his condition. He was generous in spirit and supported like-minded people everywhere. Mary and he were and are a great and committed couple. We wish Mary many happy memories and the support of everyone. The vegan/animal rights community has lost one of it`s greatest campaigners with the untimely death of Neil. He was a tower of strength and an example to us all. I knew Neil some fifteen years and we used to have long chats on the phone about how to take the vegan movement forward. In the early-90`s it was through Neil`s inspiration that London ARC was formed. He also directly influenced the foundation of the London free food fairs which have proved to be so popular. Neil was a unique individual, a rarity, and a truly great person....we shall all miss him. My thoughts go out to Mary, Seamus, Doreen & family. Neil was just the most incredible campaigner I've ever met, an inspiration to hundreds if not thousands of people to get active. His contribution to AR and veganism in this country is unmatched and his example and sacrifices have brought an end to animal suffering years closer. Bruce Lee said that a man's life is measured not by its length but by its depth. Many amazing people who were pivotal in creating a movement have been taken before their time. The finest memorial we can give Neil is to get stuck in to finishing the job for him and support Mary and Seamus. Redditch Vegetarians & Vegans have dedicated our latest newsletter to the memory of Neil. Thanks to Neil`s constant support & encouragement, we held our first free vegan food fair in October 2005 when RVV was formed. He was truly inspirational & is such a sad loss, but we`re glad he`s no longer suffering. RVV will endeavour to continue Neil`s fantastic work. RIP Neil. I met Neil first in the early 1990ies in England, when he started the Animal Rights Coalition of grass roots groups to support each other. I had a hard time understanding his Manchester accent, but he impressed me with his determination and energy. I fully agreed with his ideas behind ARC and came to every meeting and supported his cause as much I could. Sadly, when I had to leave England for good many years later, I never had the chance to see him again, even though we were in occasional mail contact. A truly inspiring person, who will be missed very much. We will miss you Neil. A truly passionate, compassionate, caring person who worked so hard in the never ending fight to free our brothers and sisters enslaved in the hellholes of all the animal abusing industries. I will always remember meeting Neil on my first real demo. here was a guy who despite obvious personal health problems was still committed to fighting the good fight and leading by example, You inspired me to spend the next six and a half years at the gates of that other hell hole Newchurch Farm. A truly inspirational human being. We won't let you down Neil the fight goes on. Take care on your Journey...... We rescue the ones we believe in...We care evermore in our grieving...Parting is our sorrows work...Make there voices heard. Neil has for decades been one of the most dedicated campaigners in the movement. All in Nottingham and at Veggies Catering Campaign, who knew Neil from the campaigns we have been mutually involved with over the years, will miss his constant support and encouragement. Neil got active in the animal rights movement at a time when it was becoming fragmented. He had a vision of building a strong movement based on local grassroots groups who communicate, share ideas, and travel to support each other's demos. He worked tirelessly compiling ARCnews and arranging national meetings, and there were some amazing victories over the last two decades as a direct result of all his hard work. His idea of free vegan food fairs was revolutionary, and events like the East Midlands Vegan Festival would not have happened without all his help and support. Such a great loss to the movement. He was so full of ideas and a man of action despite his difficulties. I�m so glad I knew him. My thoughts are with Mary at this sad time. So, so sad, and a tragic loss to the movement, in the early day's I used to get ARC News, and it inspired me to go on my first demo at Hillgrove, ARC News was my answer to the thirst for knowlege of all area's of animal abuse. Thoughts are with Mary and his family right now. RIP Neil. Anyone who spent any time around Neil soon became aware of his dedication, compassion, determination, and practical approach. I always looked forward to his 'ARC News deadline' calls when he would calmly reveal some great new project and enthusiatically offer his support for anything else I would suggest. The trials his health put him through are humbling: he just got on with everything and never let anything stop him doing whatever he was capable of. Inspirational. People like him are extremely rare and he will be sadly missed. I hope anyone who remembers him will also remember his determination and the things he acheived. Especially the vegan and ARC News websites, and the thousands of Hillgrove cats, Consort beagles and Newchurch guinea pigs that escaped vivisection with his help and the coordinating efforts he put in. Very sad news indeed. Neil was very, very dedicated. I disagreed with him on some things but he was somebody special. One of my fondest memories of Neil is the way he supported those of us in London Animal Action who took a stand against racism in the movement eight years ago. I also will never forget doing a veggieburger stall with him at Glastonbury in 1997 - one of the muddy years. He woke me up at 6am to start the shift in the pouring rain. A great bloke who will be sorely missed. Neil, yer grumpy old bugger, you'll really will be missed, especially by this grumpy old git. Only the good die young and no matter how yer tried to hide it we all knew yer was a gooden. Neil was a one off, determined, organised and tactically astute ... and yes sometimes a bit argumentative :-) ... the huge amount of energy he put into building up ARC and ARC News (to mention just 2 of his projects) helped define Animal Rights in this country and beyond for more than a decade and inspired some of the greatest campaigns we've known. Throughout all this he struggled against massive health problems which would floor most of us, without complaining or feeling sorry for himself. Neil's legacy is the many thousands of animals whose lives have been saved by his work and those he inspired. Anyone who saw Neil in his last days will tell you how physically weak he had become, but his spirit *burned* strongly to the end even though his body had given up ... I only wish I had a fraction of Neil's spirit and determination ... you were so tough, we always thought you'd go on forever Neil ... you will be sadly missed brother! I've just heard the sad news that Neil Lea died this afternoon. Neil always seemed to draw the short straw when it came to health, yet he always battled on no matter what was thrown at him and he was always determined to keep fighting for the animals. He never gave up and is an inspiration to us all. Very sad news indeed. Despite all the physical problems he had, he never stopped fighting for the animals. He will be sadly missed. Many so called animal rights campaigners could learn from his dedication and his fighting spirit. He was a true warrior for the animals. I've never met Neil, but knew him through Mary; also for years I got the ARC News. He will be sadly missed. Damn, Neil was a fab guy who did fantastic things despite his physical problems. We could all do with looking at what we accomplish with our healthy bodies & see how it fades in comparison with the fighting spirit & dedication Neil showed. Losing him makes a big dent in our movement & in the lives of those of us that knew him! Another here who thinks that this is a terrible loss to the movement. I will always remember Neil on marches /demos etc. with his shopping bag on wheels selling vegan fudge bars. When I first got involved with A.R many years ago I remember telephoning Neil for some anti Boots leaflets, by the time we finished our conversation I had committed myself to organising my first roof top demo and overcoming my fear of heights . He was an inspiration and so knowledgeable. What a man. He will be so missed. 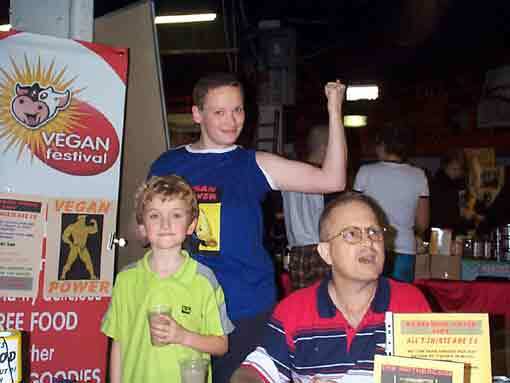 Despite his illnesses, Neil supported www.veganbodybuilding.org and at one point was a damn strong bench presser. He always planned to get back into training, but the medication he had to take kept getting in the way of proper training. Neil was born with spina biffida, and has suffered ill-health all his life as his spine has interfered with his internal organs, leading to further serious health problems, including the kidney failure which caused him to need dialysis. Despite all this, for the past 16 years he has been one of the most active animal rights campaigners the movement has ever seen. His energy and dedication has been an inspiration to many. Through RealFood and Vegan Buddies there are hundreds, maybe thousands more vegans in the world. With ARC (Animal Rights Coalition) and ARCNews he has been a major influence in the coordination and organisation of the movement. He was one of the founders and inspirers of the successful SNGP campaign, etc etc. Database of products suitable for vegans. Regular Animal Right Coalition meetings were established by Neil in the early '90's, to facilitate networking between grass-roots animal rights campaigners. 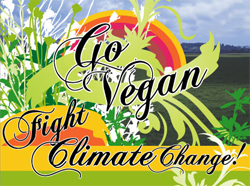 Vegan Campaigns will have a food giveaway and information stall on Hampstead High Street on Saturday 21st July. Meeting outside Hampstead Tube (Northern Line) at 12.30. If you are able to help, or cook for the stall, please email info@vegancampaigns.org.uk. Contact number on the day - 07960 036044. Vegan Free Food Fair, central Manchester. Saturday 8th December 2007, returning to the Council House on Nottingham's Old Market Square. Neil was the partner of Mary Brady and stepfather to her young son Seamus. Mary and Seamus are both authors of a number of animal rights books, published by Magpie House, the publishing imprint run by Neil & Mary. Veggies will be at this event - Sign Up to join our crew. Webspace provided by Veggies Catering Campaign, who are not responsible for the activities listed. -admin- ... hitcount from www.digits.com: - thanks for helping us to a half million hits!